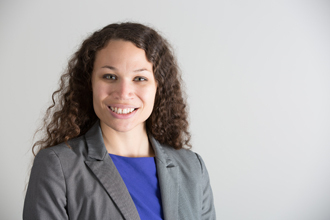 Erin Lain, AS’06, LW’08, ED’16, associate provost for campus equity and inclusion at Drake University and associate professor of law at Drake Law School, has received the Council on Legal Education Opportunity, Inc. (CLEO) EDGE Award for Greater Equality. CLEO is committed to expanding legal education opportunities to students from traditionally under-represented racial and ethnic groups and disadvantaged communities. In honor of its 50th anniversary, the organization announced the CLEO EDGE Awards in three categories—Greater Equality, Diversity, and Education—which represent the organization’s three pillars. The Award for Greater Equality honors 50 individuals, law schools, and organizations that have made an impact toward equality in legal education, the legal profession, and society. Lain was selected for the award, along with notables including former President Barack Obama and first lady Michelle Obama, former U.S. Attorney General Eric H. Holder Jr., the nonprofit organization Equal Justice Works, and the NAACP. “We are indebted to these 50 egalitarians—outstanding individuals and organizations—that have demonstrated their commitment to the equality of all people and, in so doing, helped advance our society,” said Cassandra Sneed Ogden, CLEO’s Chief Executive Officer. Lain has committed her career to equity and inclusion. In her previous role as the assistant dean for academic services at Drake Law School, Lain secured grant funding that allowed Drake to host the national CLEO Pre-Law Summer Institute in 2011 and 2016. Thanks to her efforts, Drake Law School received the Diversity Award from CLEO in 2012 and was inducted into CLEO’s inaugural group of William A. Blakey Diversity Pipeline Architects in 2013. As associate provost for campus equity and inclusion, Lain has worked to build campus and community-wide initiatives to support diversity among faculty, staff, and students at Drake. Lain founded the Equity Action Partners to provide training and support for employees across campus who will advocate for diversity and inclusion in their respective units. She is also working to establish the Human Rights Center, which will offer research, teaching, and support of human rights at Drake. This fall, Lain chaired the planning committee for the Clark 150 Celebration at Drake. The week-long event commemorated the 1868 landmark case Clark v. Board of Directors, in which the Iowa Supreme Court declared segregation unconstitutional in the state. Lain received her BA, JD, and PhD from Drake University and is an active member of the Iowa State Bar Association, the Polk County Bar Association, and the American Bar Association. In 2017, she received the Gertrude Rush Award from the Iowa Organization of Women Attorneys (IOWA) and the Iowa Chapter of the National Bar Association. The honorees for all three CLEO EDGE Award categories will be recognized at an awards gala on Nov. 15 at The Ritz Carlton in Washington, D.C.
For a complete list of recipients of the CLEO EDGE Award in Greater Equality, visit the CLEO website.